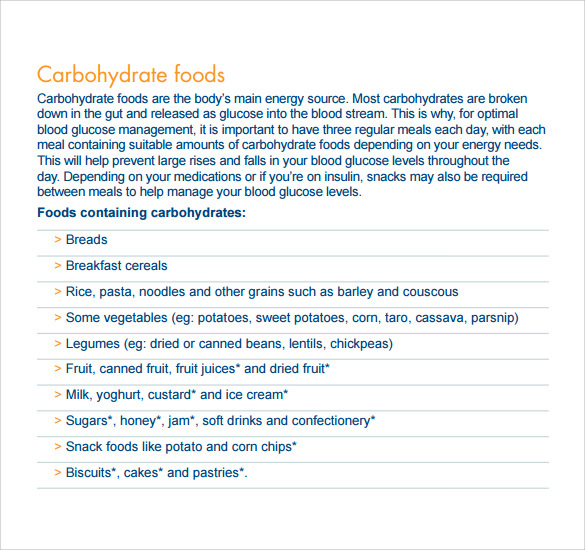 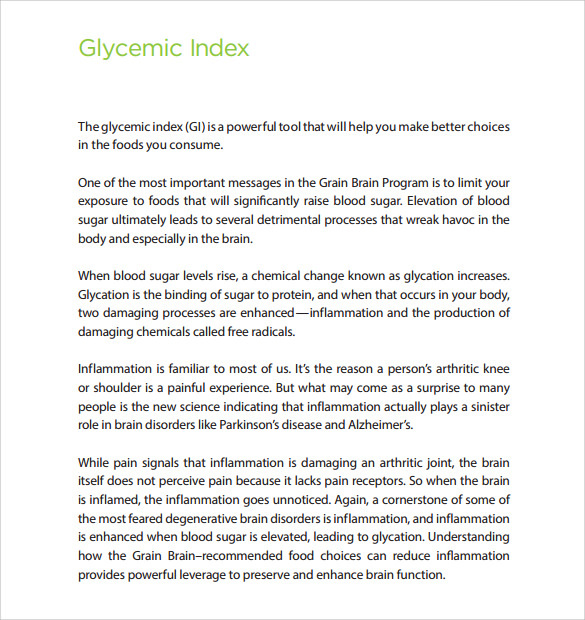 Glycemic Index states the impact various carbohydrates rich food have on your blood sugar levels. 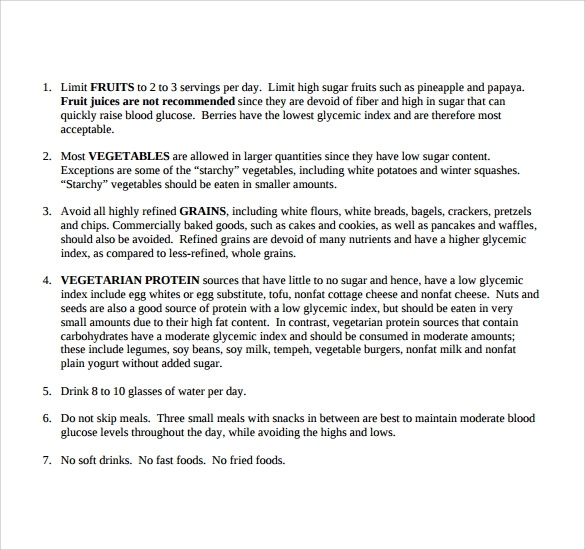 They are a crucial parameter for diabetes patients. 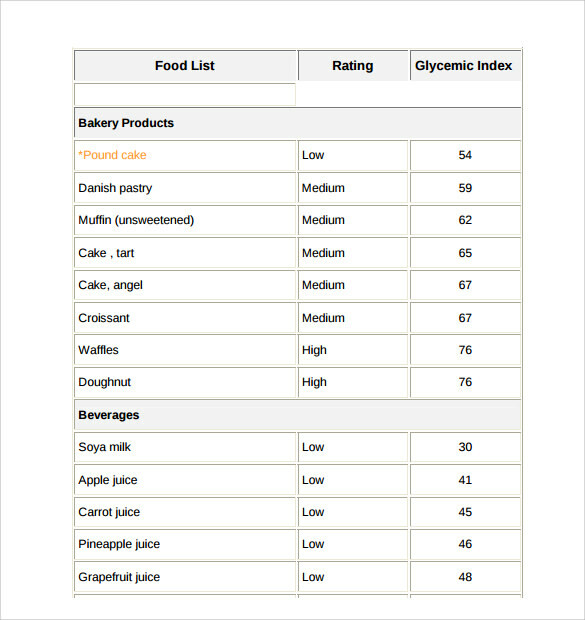 A Glycemic Index Chart is basically the report of the various food items in terms of Glycemic Index and categorizes that report as high, low or medium level. 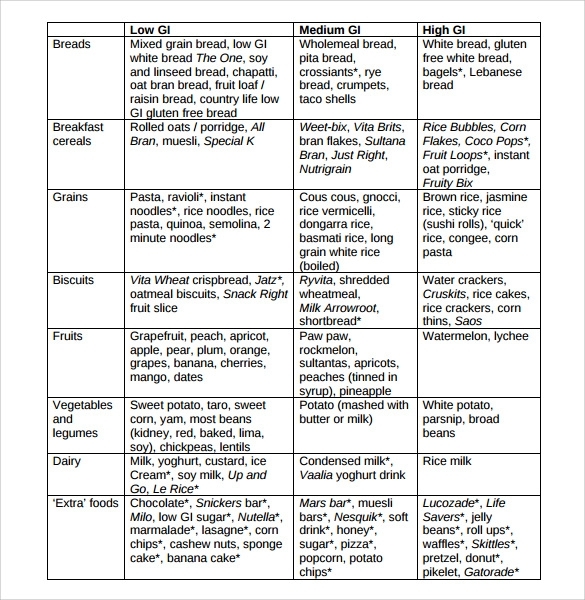 They are a lot of help in preparing your Diet Menu charts. 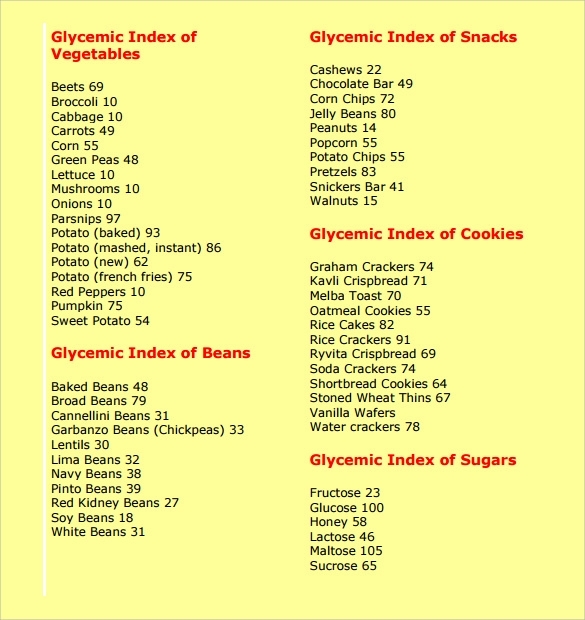 You can now get our Glycemic Index Chart Templates right here. 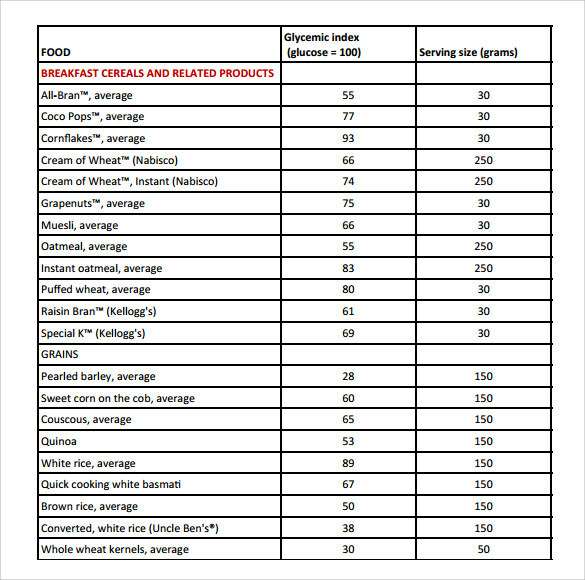 They cover a wide range of foods and are available in varying themes and colors in printable sizes. 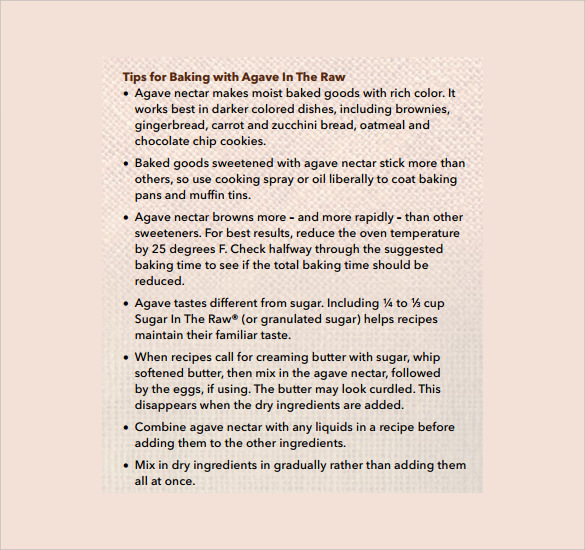 You can download them right here in MS Word doc and Adobe Acrobat pdf format.